The score bantered back and forth until about midway through the third quarter when the players began to fatigue. Slowly, the gap formed, and our team fell behind by 10 points. I knew the game was essentially over, and my interest shifted to the players, the staggering difference in their heights and sizes (even though they were all the same age). As the last quarter wound up, the ball was thrown in random shots landing all over the court, fouls were frequent and falls increased. I began to think about childhood injuries and sports. Injuries with kids are as common as a mom kissing that “boo-boo.” Band-Aids covered with cartoon characters fill the shelves in drug stores attesting to the importance of covering that scraped knee with just the right “fix.” Most of these minor bumps and bruises are an understood part of childhood, and simple steps can be taken to prevent serious injuries from kids’ play. Knowledge is the most powerful tool to prevent child sports injuries. Because if you know how to guard against sports injuries, you could stop them from happening in the first place. Sports injuries fall into two categories: acute traumatic and overuse. 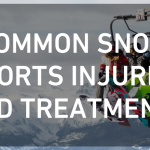 Acute traumatic injuries typically occur due to a blow or force, and examples include cuts, concussions and fractures. Comparatively, overuse injuries are chronic ailments that occur due to repetitive training. Common overuse injuries include stress fractures and tendinitis; these issues may seem insignificant at first but can become long-lasting problems if they go untreated. When it comes to preventing sports injuries, the first and most important step is adequate supervision. A commitment to preserving safety for children, whether at a playground or on the football field, is mandatory for qualified adults. Coaches should be trained in cardiopulmonary resuscitation (CPR) with a solid knowledge in basic first aid. Having someone with a medical background was common for my sons’ lacrosse teams and their skills came in handy on more than one occasion (fortunately for us, our “medical expert” was an ER physician). Proper training and pre-game preparation are not often overlooked and thankfully so. Injuries which can occur from lack of warming up are just as common with children as with adults. Taking that extra time to stretch out before a game saves those little muscles from trauma. Lessons in proper techniques go without saying – no one would send their child off to surf without first teaching them to swim. 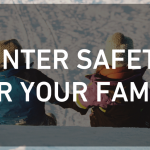 Investing in proper training is an investment in a child’s safety. Let’s not forget about the importance of maintaining appropriate play surfaces, either. For example, a football field full of holes increases the likelihood of trips and falls that may lead to severe sports injuries. Therefore, it is essential to keep all play surfaces in good condition at all times. 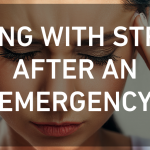 What Can Be Done After an Injury to Decrease Its Severity? Put an ice pack on the injured area. Use an elastic wrap to compress the injured area. The longer you wait to treat a sports injury, the worse it may become. When in doubt, act quickly to address a sports injury to minimize the risk of long-term damage. Sports injuries are sometimes problematic, but parents and coaches who prioritize safety can reduce or eliminate such problems. Best of all, parents and coaches who promote sports safety can ensure children can play sports, enjoy themselves and avoid serious injuries. 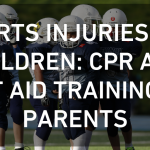 Taking time to make safety for sports a priority keeps the game safe and kids out of the emergency room. 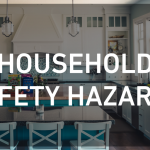 Parents can make sure their little ones are able to enjoy the freedom of childhood play by acting responsibly and supervising for safety. 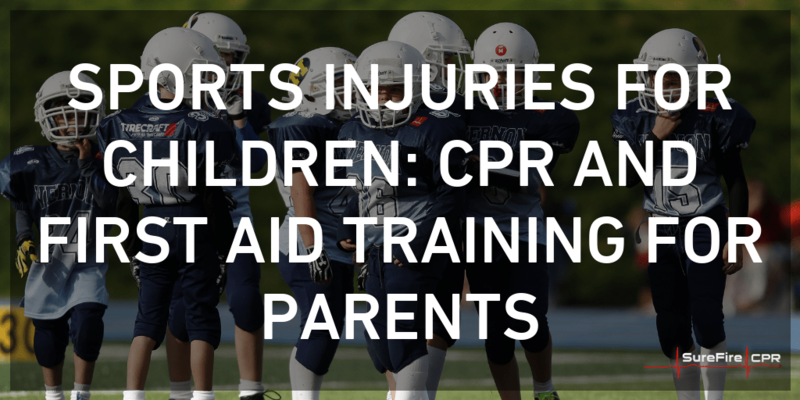 Pediatric first aid and CPR training will help parents be prepared as well! Zack Zarrilli is a firefighter and the owner of SureFire CPR. 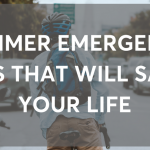 His company is comprised of firefighters, paramedics, lifeguards and EMTs who teach hundreds of CPR, BLS, ACLS, NRP, AED and first aid classes every year. SureFire CPR’s instructors teach from their own real-world experience and specialize in on-site CPR and First Aid training in all of Southern California. Did you find the above article useful? If so, for more information or to take a class, please visit us at http://www.SureFireCPR.com or call us at 888-277-3143. 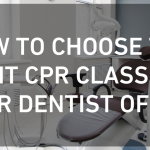 SureFire CPR currently offers CPR classes in Orange County, Los Angeles County, San Diego County, San Francisco, Riverside County and the Inland Empire.